Thanks to Dr Brian John for the link to the new BRITICE Glacial Map, version 2. During the last glaciation, most of the British Isles and the surrounding continental shelf were covered by the BIIS (for overviews see Chiverrell & Thomas 2010; Clark et al. 2012). To assist investigation of the extent and geometry of the former ice sheet covering Britain, the BRITICE project tackled the compilation and open data issues by reading relevant publications and assessing, collating and digitizing the described evidence-base of glacial landforms to create a publication reporting the methods (Clark et al. 2004), including a printed Glacial Map of Britain (at a scale of 1:625 000) and an accompanying freely available GIS geodatabase with >20 000 features (available from https://www.sheffield.ac.uk/geography/staff/clark_chris/britice). The compiled evidence was reviewed in Evans et al. (1995). The BRITICE V.1 map and these publications have been widely accessed and used by the scientific community, the education sector and the general public, with over 25 000 downloads from the website up to December 2016. The GIS files have been used to compare with results from numerical ice-sheet modelling (Hubbard et al. 2009; Patton et al. 2013). A number of important developments, since the production of the original version, have highlighted its shortcomings and motivated us to fully revise the database to produce BRITICE version 2. 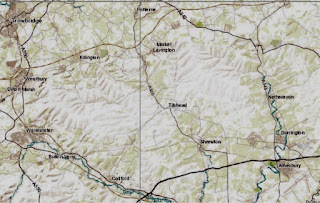 The notable feature of the ice map for the Stonehenge region is that there are no features. No moraines, no glaciers and no glacial erratics. Dr John's link has done us all a favour in driving the final nail in to the coffin lid of the glacial transport theory for the bluestones at Stonehenge. Transport of the Stonehenge bluestones: Testing the glacial hypothesis JD SCOURSE - Proceedings of the British Academy, 1997 - Oxford University Press though dated gives a freely accessible overview of the failure of the hypothesis to reflect the truth on the ground. As Scourse writes: "The common element which unifies all advocates of the glacial hypothesis is incredulity that these stones could have been transported from Pembrokeshire to Wiltshire by prehistoric man." 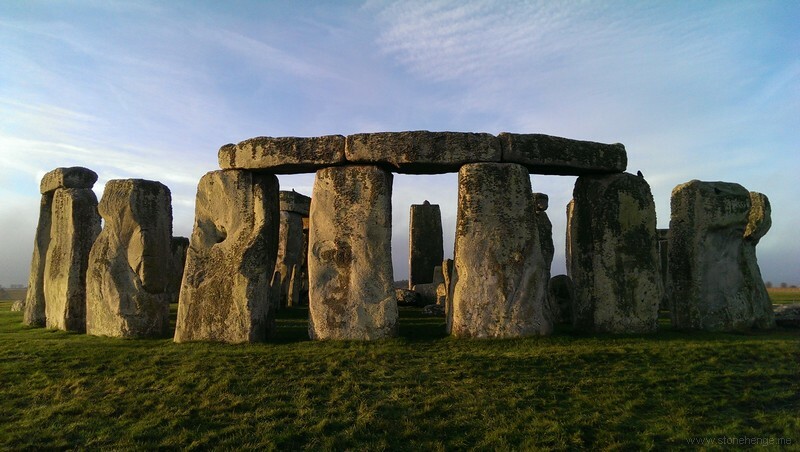 Once you accept that neolithic man could move monoliths a few yards then accepting that they could transporting them down the A40 from Wales to Gloucester and then down the A417 to the Marlborough Downs is just "haggling over the price"
Sadly, you have got this all screwed up. You are talking about the wrong glaciation -- the BRITICE work specifically deals with the Devonian, so can be ignored for the purposes of the Stonehenge debate. And Jim Scourse's work is at least 20 years out of date -- a lot has happened since he wrote that very strange paper -- so it is best ignored..
That should be "Devensian" -- the wretched computer sometimes "corrects" words which it thinks are wrong, without me noticing. Sorry about that. Rehashing old data in a new compelation does not bring us any closer to the truth. Glacial transport may not be it. But "ice surface transport" may be. As it is not falsified by any of this.